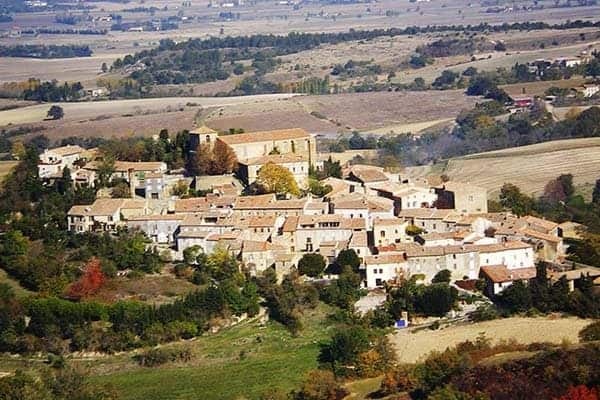 There is so much to see, visit and experience in the immediate vicinity of Birbès. Cities, towns and villages, museums, castles and fortresses. In one hour, you can be in the beautiful surroundings of the Pyrenees or also be at one of the beautiful beaches. We personally prefer the beaches (and fun beach bars) of Leucate and Gruissan. We like to share our best locations with you! 45 min. 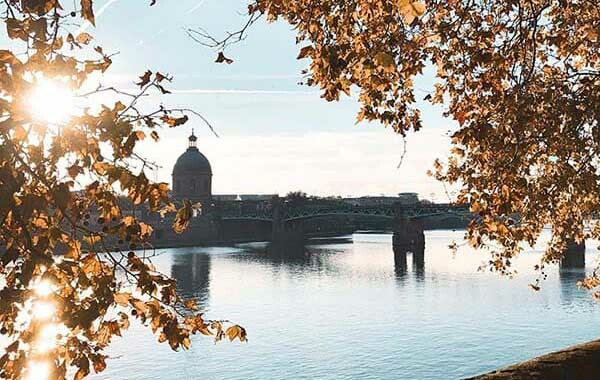 away from Birbès you will find the charming university town of Toulouse. This city, the 6th largest in the country, has 60,000 students and this is reflected in the many very affordable restaurants, bars and bistros. 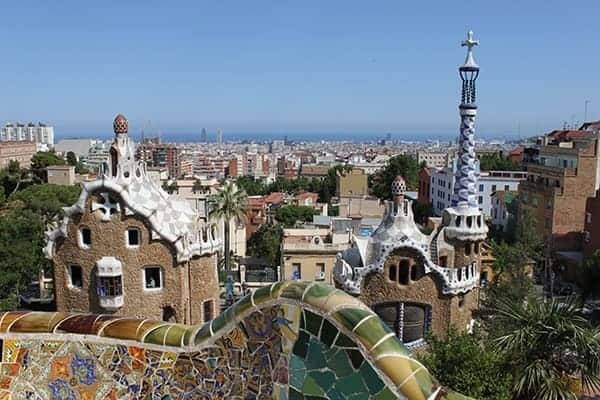 Taste the delicious local cuisine or explore the old town with its charming streets, great shops, two cathedrals and buildings made with the characteristic pink brick. For rainy days, there are many museums, the fantastic space center 'Cité de l'Espace’ or a visit to the Airbus factory, the largest passenger aircraft in the world. 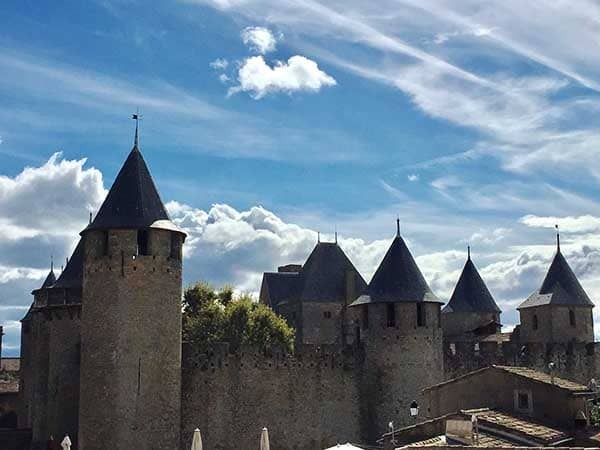 Just half an hour away you will find the cité of Carcassonne. Walk quickly through the first street with all the souvenir shops and then imagine yourself in the Middle Ages in this beautifully restored fortress. 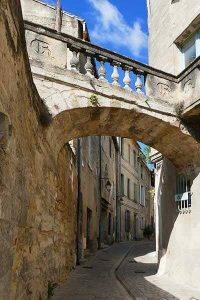 Take a walk through the streets, through squares and in and along the ramparts with stunning views of the area. There a lots of cafes and restaurants for when you want to take a relaxing break. Plus, in the summer season (July and August) there are many festivals and medieval knight plays. On July 14, France's national holiday, there is a spectacular fireworks show. From Laurac you have a beautiful view of the surrounding area and our Domaine. Mirepoix (30 min. drive) is a robust old 'fortified' town with a beautiful town square. 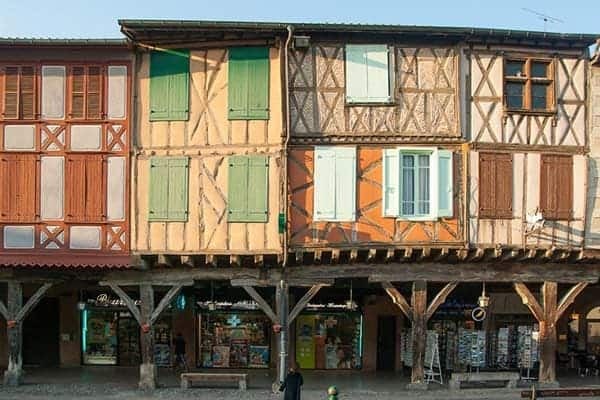 The town is full of typical timbered houses with arcades from the 13th to 15th centuries. 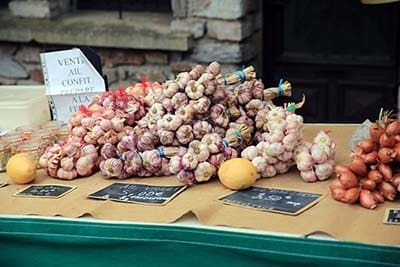 The atmosphere is particularly welcoming on market days (Monday and Thursday), when the square is full of stalls selling fresh local produce. 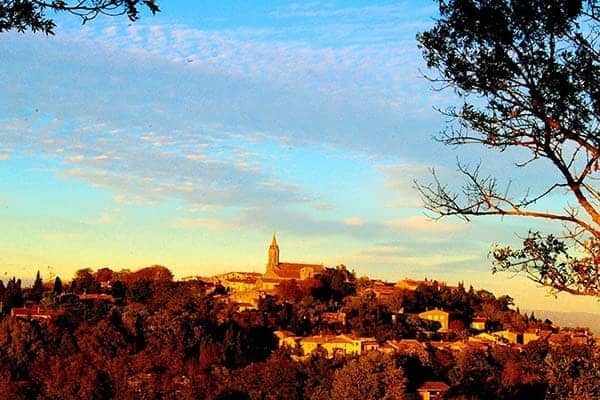 A half hour drive away is the picturesque village of Montolieu, wedged in a green valley between the foothills of the Montagne Noire. Montolieu is known as the book village. 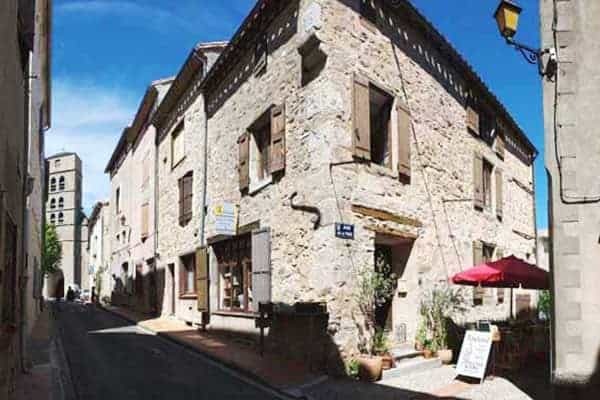 Full of book shops and including a calligraphy museum, Montolieu is a true paradise for book lovers. Between Toulouse and Sète, the Canal du Midi meanders for 240 km. This canal was constructed in the 17th century to link the Atlantic with the Mediterranean, which meant an enormous stimulus for trade in the Languedoc. The Canal du Midi is now (like Carcassonne) a protected UNESCO world heritage site. The beautiful bridges, locks and aqueducts are clever pieces of engineering and demonstrate the skill and perseverance of the human hand. 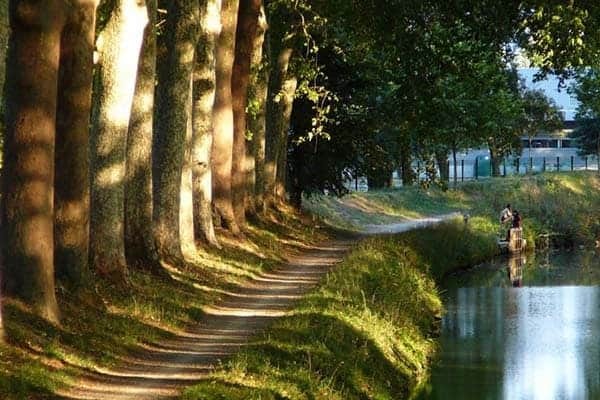 The entire Canal is lined with plane trees and invites you to experience its waters. You can rent a boat in Castelnaudary or Bram, both 10 minutes away from our domain. Or explore by bike along the landscaped bike paths along the banks of the Canal. 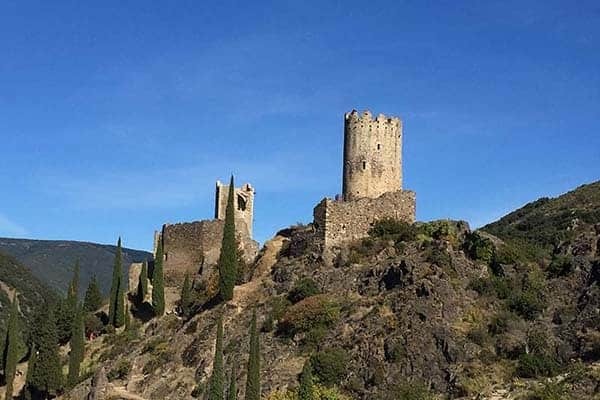 Culture lovers will delight in the many old castles that were built by the Cathars during medieval times. The Cathars were a religious sect that sprung up in the 13th century to demonstrate against corruption within the Catholic Church. The Catholics viewed the Cathars as heretics, and a bloody crusade followed, led by Simon de Montfort. This was the beginning of a century of massacre and torture. Within an hour’s drive you can find castles such as Roquefixade and Montsegur. For the real enthusiast there are further mighty castle ruins, such as Quéribus and, the most famous of all, on a 600 meter high cliff - Peyrepertuse. 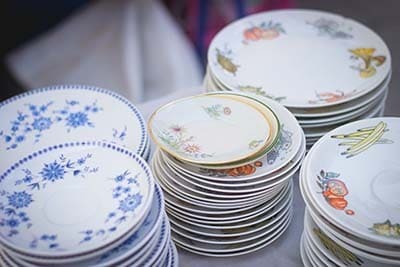 In addition to the weekly markets which are found in the various towns and villages, you can also indulge yourself in the many antique shops and vide-greniers (car boot sales). 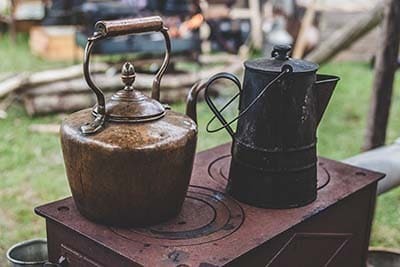 We’re happy to give you tips on the best place to go. We are a 3 hour drive from Barcelona. 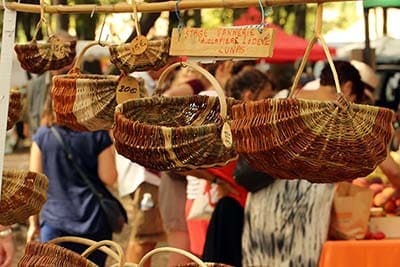 A visit to our Domaine is very well combined with a trip to this great city. First visit the busy city and then relax and enjoy all the impressions? Or first start the holiday relaxed with us in order to experience this world city in the most optimal way? For the whole family very recommended!